Generally cut from beef, steaks are cooked using a variety of methods. Before you cook steaks, they need examined carefully to determine if the meat has spoiled. Steaks are highly perishable due to the high moisture and protein content. Spoiled meats are dangerous to consume because they can contain harmful bacteria that can cause serious illnesses. Examining questionable steaks closely will help you to determine if they are safe to eat. When the steaks show signs of spoilage, they need discarded immediately. Inspect the appearance of the steaks. Steaks with darkened areas and fading colors can indicate spoilage.Examine the steaks for odd discolorations. 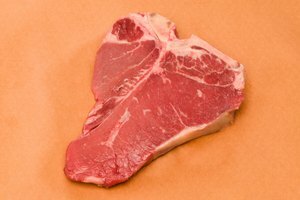 Steaks with green, black or creamy patches indicate mold growth. Throw the steaks away immediately. Remove the steaks from the refrigerator and smell them. If the steaks have an odd or foul odor, they need tossed in the trash. The odors may smell like sulfur or ammonia. Feel the steaks with your fingers. If the steaks feel sticky to the touch or slimy, they need to be discarded. Always inspect the steaks after they thaw to determine if the meat has spoiled. While you cannot tell spoilage by looking at the steaks, color changes can indicate food spoilage. Steaks will darken in color when exposed to oxygen. Look for the other signs of spoilage before you determine the freshness. 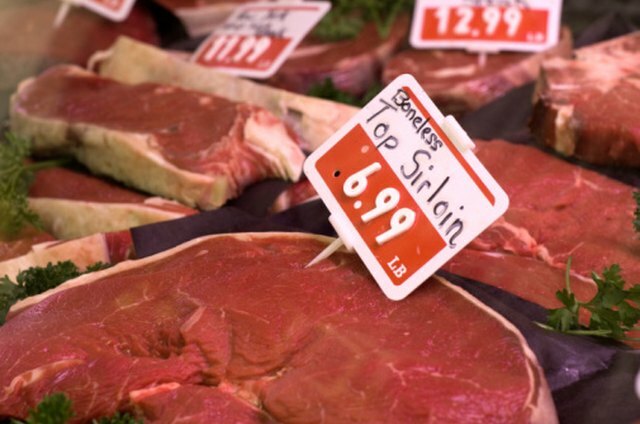 Store purchased steaks between 33 and 36 degrees Fahrenheit in the refrigerator to extend the shelf life. 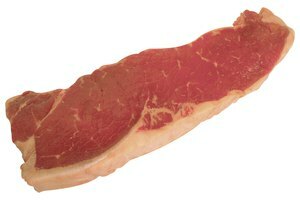 Cook steaks within two to three days after the sell by date. Steaks can contain harmful bacteria and not show signs of spoilage. Always handle and store foods properly to prevent a food-borne illness. 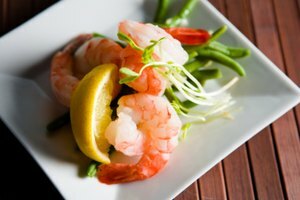 Always wash your hands before and after handling raw steaks to prevent a food-borne illness. Avoid opening the steaks until you are ready to use them to keep the meat fresh.